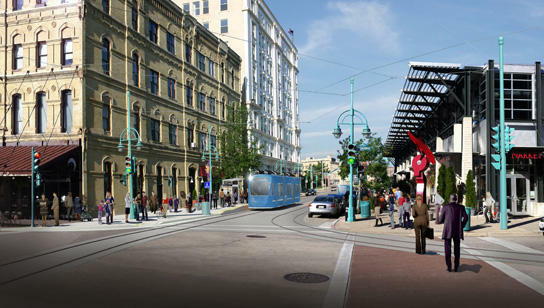 Mayor Tom Barrett announced Monday that the U.S. Department of Transportation has awarded the city a $14.2 million grant to enable construction of the Milwaukee Streetcar's Lakefront Line. 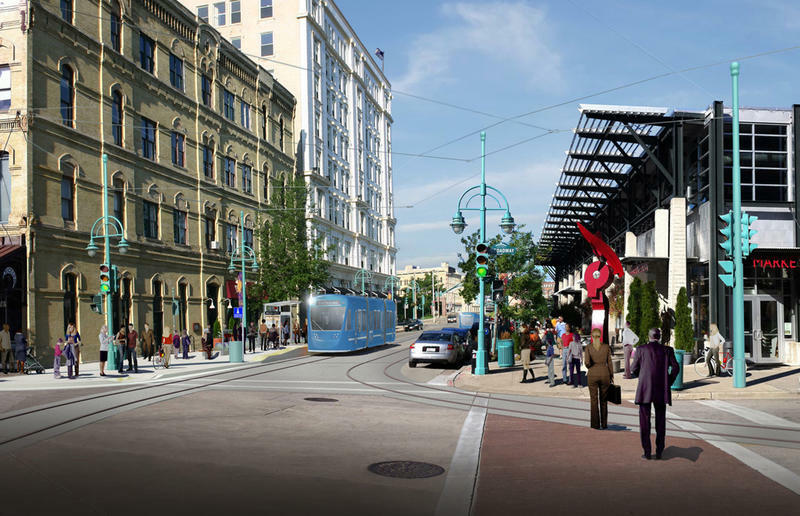 The Common Council approved the extension in February, along with phase 1 of the streetcar project. 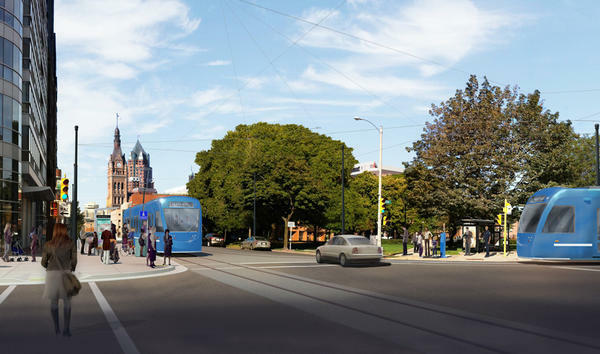 The Lakefront Line will connect Cathedral Square to the lakefront, and will include a stop along the planned Couture development. Groundbreaking on phase 1 of the project is scheduled for spring of 2016. Mayor Barrett issued a statement Monday, saying "this critical federal grant will bring thousands of residents and visitors to major attractions and new developments on Milwaukee's lakefront." U.S. Sen. Tammy Baldwin also lauded the appropriation, calling the project a "strong federal investment in 21st century Wisconsin infrastructure that will put people to work."